The Urban is a European-style stroller that easily transforms from car seat carrier, to carriage, to stroller to accommodate growing children. Baby can ride frontwards or backwards in any configuration, providing six unique strolling modes and the option to face mom/dad or explore the world instead. Sliding handle adjustment, a large storage basket, folding frame, one-touch parking brake, locking front swivels, and full suspension make it a smart choice for parents too. The Urban includes a free car seat adapter to accept all KeyFit® and Fit2® infant car seats. (car seat sold separately) With the adapter, the car seat secures onto the frame with an audible click, creating a streamlined travel solution for baby's first outings. The stroller seat can be reconfigured easily to create a carriage for smaller babies. An expandable canopy and removable all-season boot help to create a cozy, comfortable environment. A multi-position reclining stroller seat and detachable arm bar accommodate older children. If desired, the canopy and boot are also designed for use in Toddler Stroller mode, along with a soft fabric seat insert. Machine wash removable fabrics separately in cold water on delicate cycle; do not use bleach; drip dry. Attached fabrics may be spot cleaned with a damp cloth. Plastic or metal parts may be cleaned with a soft damp cloth; towel dry. Indulge in liveable luxe with the Minerale collection from Chicco. 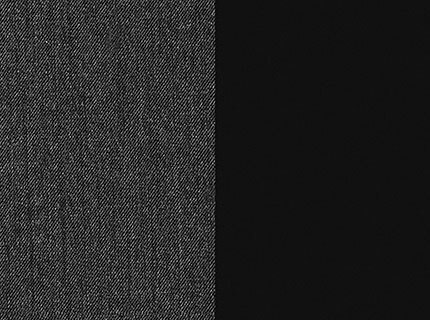 A black twill makes a fashionable statement with its rich color and warm grey brushed metallic finish. Earthy warm grey trim and soft plush accents top off this sophisticated collection that tastefully suites both indoor and outdoor products. Assembled Dimensions: 38" x 24.5" x 44"
Folded Dimensions: 34" x 24.5" x 15"
Carton Dimensions: 20.87" x 35.43" x 13.98"
Urban 6-in-1 Modular Stroller - Minerale is rated 3.6 out of 5 by 55. Rated 1 out of 5 by GrandmatoAlice from Poor quality I thought I did my research when buying this stroller. I actually bought 2 of them, one for my daughter in law and then one for me to use when my granddaughter is with me. The handle adjust up and down but it never stayed at one hight, the right side always collapses randomly. Come to find put there is a broken plastic piece inside the bar. Clearly a factory defect. My granddaughter didn’t even get 6 months use out of the stroller and can’t use it due to the safety issues. Now I’m back to doing research for a new stroller and it definitely will NOT be a Chicco brand stroller. I would think safety would be important. Rated 5 out of 5 by SusieQPS from Have had this for almost 1 1/2 yrs and love it! I don’t know why there has been so many complaints on this stroller. It’s so nice and so easy to adjust in whichever way you feel like using the stroller. Hace t had issues with tires Osijek others say or anything! I highly recommend it and I now need to upgrade the car seat so will be buying Chicco again! Rated 2 out of 5 by Asia from heavy this stroller is super heavy when you put the seat on it and you have to take the seat off to put it in the truck. the stroller doesnt open the greatest. its kind of awkward, but once it's open its great. Rated 1 out of 5 by CEFMommy from Bulky, Doesn't Collapse, Zero Storage Space I bought this a year ago and I cannot express how frustrating this design is. I was totally sold on the versatility of the 6 modes. I cannot believe this eclipsed all the design flaws. The bulkiness and large rear tires don't allow for smooth turning or maneuverability. There is ZERO storage space because the seat drop is TOO LOW so you cannot access. I once had to unclip my child, and remove the seat attachment to put items in the bin. And the bane-- I always have to carry ALL THREE PIECES SEPARATELY- frame, seat, and car seat, when I need to bring my carriage with me for long distance trips-- like the mall. (Sorry for the sarcasm). I wish there wasn't an upcharge for a system that would automatically collapse in one piece. It feels like Chicco is using my baby to manipulate me. Rated 1 out of 5 by ummm from Not good for the city This stroller is so big and bulky. I don't know why it's called Urban. I live in NYC and do not feel comfortable taking this stroller out on my own bc it feels really heavy to me whether you have the pram or car seat installed. We have to go up 2 flights of stairs just to get to the subway platform (no elevator at my stop) and I feel like we block the stairs completely; people can barely slink past us when my husband and I carry it on either end. I've thought about trying to collapse the stroller and carry it up on my own, but that would be a huge struggle as well. When I take the bassinet out, I can't carry it by just the handle bar bc of the way it's angled, my baby would be upside down, so I'd need to use 2 hands just for that. The car seat isn't easy either because then I have to carry the car seat and the car seat adapter up the stairs with the stroller! (The manual says not to fold it with the car seat adapter in.) When I do go to fold the stroller, I need 2 hands to push the buttons on either side of the stroller and then the handlebar clunks down on the dirty nyc streets, gross, or bangs up my legs or feet. And when I pick up the folded stroller, it doesn't stay compactly folded and starts to open. So cumbersome and yet, opening the stroller is a huge hassle as well. The cup holder is pointless too. I had a water bottle in it and when I rolled the stroller from the sidewalk curb to the street, the bottle popped out and fell in a puddle of mud! Like other reviewers noted, the storage basket below is pretty difficult to get stuff in and out of and it doesn't seem to hold very much even though it looks big. The stroller ride does seem smooth, but this is not practical for us. It takes up way too much space in our apt. I've only used it twice and am already looking into buying a different stroller. Rated 5 out of 5 by KarleeA from LOVE this stroller I'm in love with this stroller! I haven't ever had an issue with the wheels locking up like the other review says. I would 100% recommend! It's so nice! Totally worth every penny! Is the bassinet/infant carrier for the Urban 6-in-1 sleep rated? Can it be used around the house as a bassinet as well or just with the stroller? The seat of the Urban stroller easily converts to a carriage for smaller babies. The Urban stroller seat is designed to be used with the Urban stroller frame. Please call customer service at 1-877-424-4226 for additional assistance. Does the urban stroller have a cup holder Or tray that can be added for the toddler? There is a cup holder attached to the stroller frame. There is not a toddler tray for this stroller. Can this be converted into a double stroller? The Urban stroller cannot be converted into a double stroller nor do we recommend using any after-market products. To view the Chicco strollers, please visit our stroller comparison chart https://www.chiccousa.com/stroller-comparison/. The Urban stroller will accept the Keyfit, Keyfit 30 or Fit2 car seat. You may call our customer service department at 1-877-424-4226 for additional assistance. We are available Monday through Friday from 8am &ndash; 5pm, Eastern Standard Time. One of our customer service representatives will be happy to assist you. Is the verso like the le ? Does it include and do the same things as the le and does it include the all weather boot ? Hello, I am not quite sure what this stroller includes for this price. Is the car seat, small infant carriage and todler&rsquo;s stroller included? The Urban stroller does not included a car seat. The Urban stroller will accept the Keyfit, Keyfit 30 or Fit2 car seat. Until what age/weigh I have to use the infant carriage with my baby before he can use the toddler seat? The child should be no more than 30 inches tall for use in the carriage mode. The Urban stroller using the car seat adapter will accept the Keyfit, Keyfit 30, or Fit2 infant car seat. The stroller seat may be used in toddler mode with a child from 6 months of age to 50lbs. Please consult the stroller and car seat product manual for additional information.